The British Bird Council has been recently working closely with, & highly recommends the services of Nigel Weller should you unfortunately ever need a solicitor! The great majority of the population of this country is law abiding and does not come into contact with the police or the courts. Consequently, their knowledge of the Criminal Law is usually restricted to what they are told by others, what they read in newspapers or what they have seen on television. This is often inaccurate and of little value when a person unexpectedly finds himself being asked "to assist the police" or, in the case of people keeping birds or animals, is approached by employees of such organisations as the RSPCA and RSPB. Our legal system is adversarial. That is to say, there is an accuser and an accused opposing each other. The basic principle is that the onus of proving an accusation is on the accuser, usually the police, but in the case of birds and animals it may well be the RSPCA or RSPB. It is for the prosecution to obtain evidence without any obligation on the part of the accused to supply it. There are one or two exceptions, articularly concerning possession and sale in relation to the Wildlife & Countryside Act 1981. The Police and Criminal Evidence Act 1984 (P.A.C.E.) and the Codes of Practice issued under it, state not only what powers the police have to arrest, search and question, but also how it must be done. This also applies to any person other than a police officer undertaking any similar investigations. It should be noted that, other than the powers of the ordinary citizen to prevent a breach of the peace, that is to stop a fight or arrest for serious crimes, only the police may exercise the powers of search, with or without a warrant, and make other arrests under P.A.C.E. The police may search you or your car, without warrant, for stolen property. They may search your home if you have been arrested by them. They must get a warrant from a Magistrate to search in most other circumstances. Police may obtain a warrant under the Wildlife & Countryside Act 1981, to search a dwelling house for evidence of an offence created by the Act. They do not need one to search your garden (including aviaries) but all their actions must be based upon reasonable suspicion of an offence being or having been committed. Inspectors from the Department of Environment, Food & Rural Affairs, however, upon production of their authority if so required are empowered to enter premises where birds subject to Schedule 4 of the Wildlife and Countryside Act 1981 are kept. Keep within the law and be able to prove it. Keep accurate records of your birds, their breeding and descriptions. Keep photographs with descriptions, names and dates marked upon the reverse side of the photograph. Remember other people who can support you if you find yourself accused of committing an offence in relation to your keeping of birds. If you are visited by the police with a warrant, you are entitled to see it first. Read it carefully and note what it says. More particularly, who it is addressed to, for what purpose and who may enter by it. Only those authorised by it should enter. Do not obstruct the police officers. If persons not authorised try to enter, complain to the police officers and ask them to note your complaint in a pocket book. Do not try to physically eject the trespassers. The police may think you are obstructing them and arrest you. (a) Try to have a witness present who should not interfere but take down notes of all that occurs. (b) Do not make any statements that you cannot later substantiate and which, because of that, could incriminate you. It is better to say nothing until you have solicitors' advice. 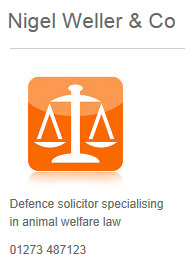 (c) Telephone your solicitor. Do this while the police officers are present, if you can. (d) Take notes, photographs video and tape record what is said, if you can. (e) Do not interfere with the search but by asking questions (not answering theirs) try to find out all you can, such as who the officers are, their station, who any other person is and from where they come, what information caused the search warrant and, above all, where they are taking anything they seize. You are entitled to details of seizures in writing from the officers. When they have gone, write a full account of what happened, date and sign it. Any witness with you should do the same. This may be invaluable if a prosecution is brought later.